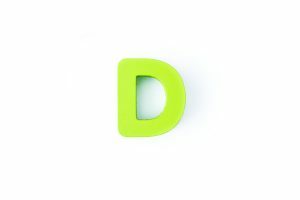 Three “D” Terms You Can Feel Good About (And Why)! Posted January 30, 2019 by Shawn Hofkes & filed under Uncategorized. From our perspective as your Cerritos, CA dental surgery team, there’s absolutely nothing in the world to feel less than stellar about when it comes to our services. What could be better than having access to a comprehensive selection of treatments that can help you figure out what’s happening with your smile and even repair any problems that are occurring? However, we know that from your perspective, you may feel a little less enthusiastic. We empathize, certainly, but we also want to help you come over to our side just a little. To get started, we offer up a few “D” terms that you can feel good about (and we are happy to explain why you can feel so nice about them). The first thing we’d like to talk about is dental surgery! Of course, we know that this a big one for many patients who feel a bit guarded about requiring a more intensive treatment for their smiles than something like a filling. We remind you that oral surgery is not a complex or lengthy service. Instead, it’s a treatment that is slightly more involved but remember: You’ll come in, receive care, and head home. You will also receive sedation, so you feel completely at ease and so it seems as though the treatment was over in a blink of an eye! When you hear that we are going to provide you with a diagnosis regarding your smile concerns, you may first feel uneasy. However, we prefer for you to think of a diagnosis as an answer that will provide you with the solution that will fix your oral health! Without it, you just deal with a lot of wondering and you neglect to treat something that may require attention. Find a way to feel some appreciation toward all that a diagnosis can offer you and you will quickly see that it’s easy to feel optimistic about your soon-to-be healthy smile. Last but certainly not the least of your concerns is the dental implant. If there was ever something to get excited about, it’s the implant! It is the sole solution for your missing tooth if you are interested in replacing its roots, which will then offer exceptionally stable support to a restoration. The result: A completely replaced tooth! Learn more when you visit our dental surgery practice. When you have something going on with your oral health that could be made better with the help of dental surgery, we strongly encourage you to take us up on our invite to visit our practice to learn more! To schedule an appointment or consultation with Dr. Hofkes, contact us today by calling 562-584-4082. We proudly welcome patients of all ages from Cerritos, CA, and all surrounding communities, such as Lakewood, Long Beach, Buena Park, and more. Interested in obtaining a healthy, beautiful smile? Then schedule a consultation with your Cerritos dentist today. Dr. Shawn Hofkes provides advanced dentistry with a personal touch. Dr. Shawn Hofkes | Cerritos Dental Surgery © 2019. Accessiblity Statement All Rights Reserved.